Our efforts to stay current on trends and keep a pulse on the needs of product managers is addressed by attending and sponsoring key events in the local marketplace. Line of Sight Group sponsored the monthly PDMA meeting and presented “Using Analytics to Stay Ahead of the Competition” at Starkey Hearing Technologies in Eden Prairie, Minnesota. Line of Sight Group’s Steve Schulz shared some analytical models for using knowledge of the external environment to understand where you are in the race with your competition, and how to think about bets and moves you can make to differentiate and stay ahead. Use cases demonstrated how organizations can apply data and analytics to continuously monitor competitive developments and engage in interactive dialog on how to use that information to respond to threats and opportunities. One of the ways we help our clients monitor their external environment is through Line of Sight’s SCIP Endorsed Market-i Competitive Intelligence System. Starkey’s Aaron Schroeder, Au.D, kicked off the event with a welcome and shared their efforts to help people hear throughout the U.S. and around the world. He showed a music video featuring singer-songwriter Matt Nathanson, who joined Starkey in Peru to help raise awareness and funds for people struggling with hearing loss. I encourage you to watch it here. It is sure to warm your heart. Thanks to Minnesota PDMA and Starkey Hearing Technologies for the opportunity! Minnesota PDMA is the place for innovators and product people to come together. The organization holds monthly events all around the Twin Cities. All people, perspectives, and ideas are welcome. Starkey Hearing Technologies is a hearing-aid manufacturer that prides itself on connecting people and changing lives. The company has provided more than 1 million hearing aids to people around the world. One of the ways Line of Sight Group keeps current on trends is to attend and sponsor key events in the local market. 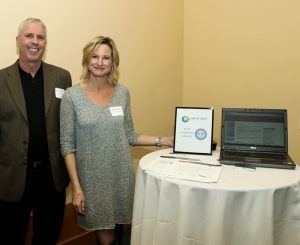 Last month, we had a chance to learn what was on the minds of professional researchers by attending and sponsoring the SLA-MN (Minnesota Chapter of the Special Libraries Association) and MALL (Minnesota Association of Law Libraries) Holiday Party. The popular event, held annually, is open to all information professionals, librarians, researchers, knowledge managers, archivists, students, and guests. The social atmosphere brings like-minded professionals together to discuss various topics, including different research tools and information services, projects and opportunities, job openings and career paths, and others. Guests also learned about new products and services at the Exhibitor Fair, featuring Line of Sight Group and other sponsors, and had the opportunity to place bids at the silent auction, benefiting the St. Catherine University SLA Student Group. Additionally, this year’s Holiday Party was held at the Minneapolis Institute of Art. Guests were invited to visit Mia’s galleries and tour Mia’s Art Research & Reference Library, one of the Midwest’s premiere research centers dedicated to the study of art. Finally, organizers provided a vast array of catered hors d’oeuvres, desserts, and drinks. It was great meeting so many wonderful attendees and sponsors at the SLA-MN and MALL Holiday Party. The gathering was fun for all and we would highly recommend it to anyone interested in attending next year! Thank you, SLA-MN and MALL, for the opportunity. 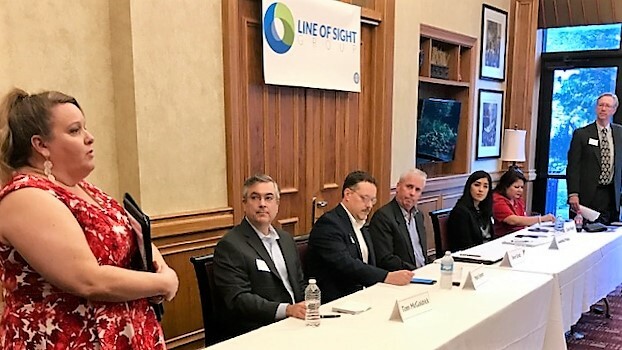 Last week, Line of Sight Group partnered with the Strategic & Competitive Intelligence Professionals (SCIP) Association to deliver a panel discussion to explore how various organizational roles define and use intelligence to formulate strategy and execute go-to-market initiatives. The panel consisted of practitioners from several industries and across several roles. There were panelists and attendees not only from SCIP but from other associations representing the roles we sought including Product Development and Management Association (PDMA), Customer Experience Professional Association (CXPA) and the Special Libraries Association (SLA). The fast-paced discussion first explored what types of intelligence were needed. With so much data available from so many sources, there is a heightened importance for analyzing, synthesizing and making sense of it. Several ideas emerged from making it simple, visual, or put into the context of the consumer of the intelligence. One of the firms had operationalized this into Red, Yellow, and Green dashboards. Some added that storytellers could be employed to convey the messages and clues found in the intelligence. There was attention given to the ways that technology was impacting the field – several firms are using or are built on analytics. Others are starting to look at Artificial Intelligence (AI) and Virtual Reality (VR). There were some interesting examples, as well. One firm conducted Scenario Planning and accurately predicted the acquisition of Whole Foods by Amazon. Another example was that Red Roof Inns capitalized on the fact that 2% of all airline flights are cancelled and figured out a way to cater to temporarily stranded travelers yielding a very favorable business outcome. Another aspect that emerged was the importance of building trust and collaborating amongst the various roles in research, product management, marketing, sales, customer experience and strategy formulation. 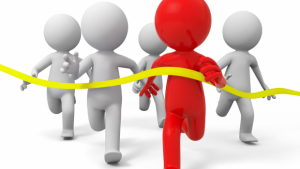 With the advent of technology like cloud, mobile, big data and the aforementioned analytics, AI and VR, the notion of sustainable competitive advantage is challenged. This points towards an ongoing monitoring of the external environment to either avoid disruption or to get ahead of the curve and do some disruption. Line of Sight Group is proud to be part of SCIP Minnesota’s panel discussion later this month. President and Founder Steve Schulz will join other top experts in the competitive intelligence, product management, and customer experience arenas. The discussion will touch on and provide insight on common challenges, including the type of intelligence leadership is looking for, and illustrate how top practitioners gather intelligence for internal use and on their competitors. Panelists will also illustrate some useful tips and tools that are used by top practitioners. The Panel will be moderated by Brett Norgaard, Principal, Line of Sight Group. 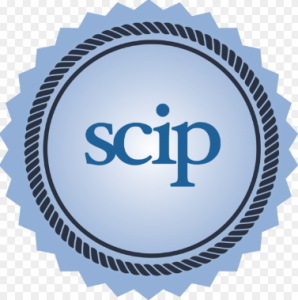 The SCIP MN Panel Discussion will take place September 27 from 5 pm-7 pm Central Time at the Grant Park Conference Room, 500 East Grant Street, Minneapolis, Minnesota. For more information or to attend the event, please go to the SCIP MN website or reach out to MN Chapter Chair, Julie Johnson. Line of Sight’s Market-i Competitive Intelligence Program is a SCIP “Endorsed” product. Strategic and Competitive Intelligence Professionals (SCIP) is the nonprofit Association representing the Integrated Intelligence industry internationally for over 32 years. Line of Sight Group is proud to announce that our Market-i Competitive Intelligence System has been recognized as a SCIP “Endorsed” product! Strategic and Competitive Intelligence Professionals (SCIP) is the nonprofit Association representing the Integrated Intelligence industry internationally for over 32 years. What makes our system unique? Prior to launching Line of Sight Group in 2002, president and founder Steve Schulz conceived the Market-i System when he was running CI programs. According to SCIP, this makes the Market-i system unique and different because it was developed by a CI practitioner, not by a consultant or technology specialist with no background in CI. The idea behind Line of Sight’s intelligence services offering, including our Market-i System, is that the most effective way for organizations to understand, respond to and anticipate changes in their external environment (not only direct competitors) is to collect and process information that best represents leading indicators in a systematic and ongoing way. It is done in such a way as to identify changes that are significant enough to deserve a more in-depth look. In addition, our intelligence services fit directly with our analysis services – we get to know our clients and their business and are uniquely positioned to help our clients develop deep insight and strategic options. Line of Sight Group joins other service providers highlighted in SCIP’s (first-ever) 2017 Service Provider Assessment Guidebook – Highlighting SCIP Endorsed and Certified Services in ISCI. The guidebook is aimed at providing its members and potential users of these services some insight into the features and benefits that may be of service to their decision support program. 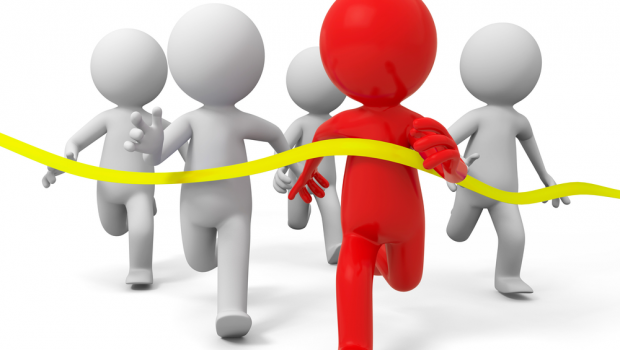 If you would like more information about our Market-i Competitive Intelligence System, please Reach Out! 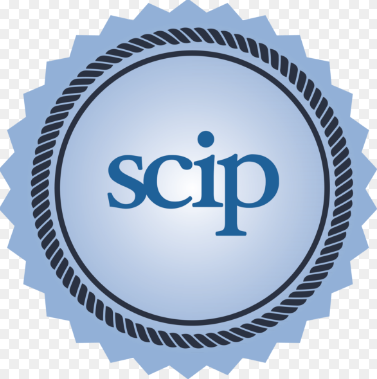 To learn more about SCIP or to become a member, contact them at www.scip.org.